This is the craziest dash cam footage I’ve ever seen. A motorcyclist tries to make a dangerous pass on a highway and crashes into the trunk of another car. 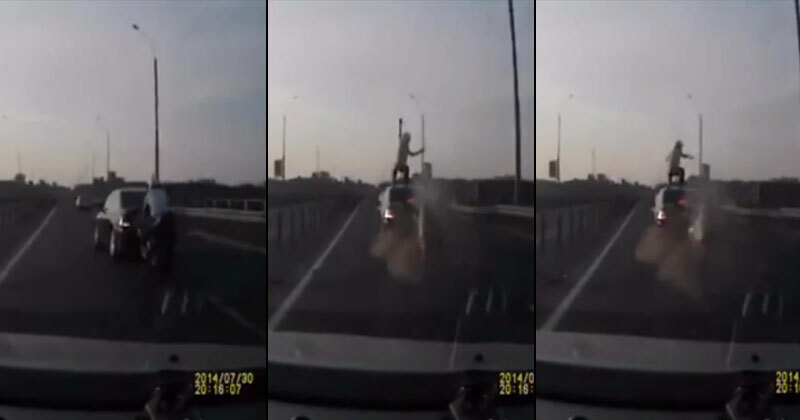 Miraculously, the motorcyclist somehow executes a perfect front flip onto the roof of the car, even sticking the landing. Absolute insanity.